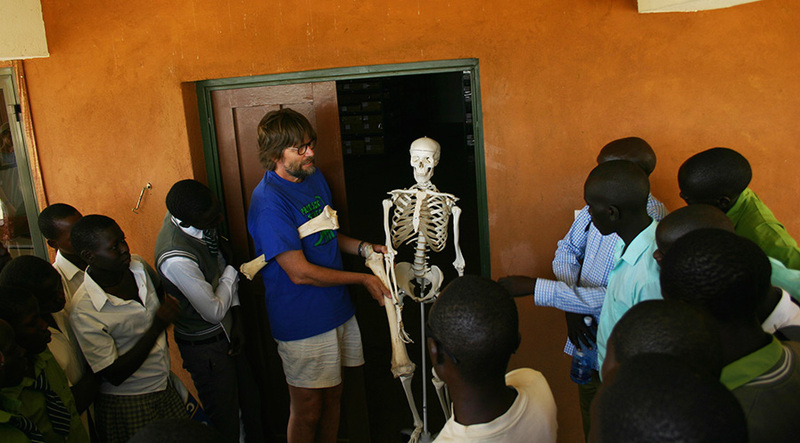 The Turkana Basin Institute (TBI) is not only a non-profit organization interested in scientific research in the Lake Turkana region, in addition, TBI works closely with local communities on health and education. 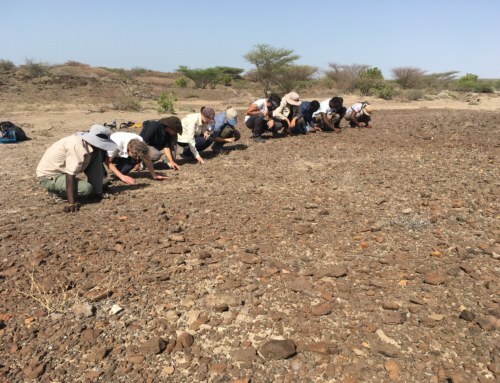 The vast majority of the people (population near 900,000) that live on this semi-arid, harsh environment are nomadic pastoralists with cares focused on water, livestock, pasture, and fishing for those that live at the lakeshore. On Sunday, February 15th, the TBI Turkwel facility had the pleasure of hosting a visit by local Turkana students sponsored by TBI. In Kenya, primary education from about age 6 – 13 is free (except for school uniform costs). 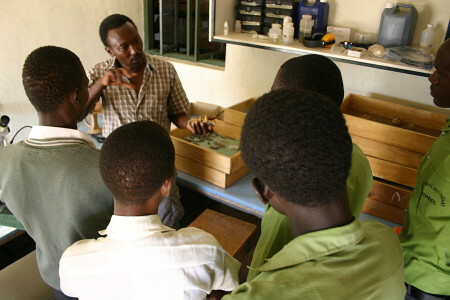 However, government funded Secondary Education has many school fees such as textbooks, exams, extracurricular activities, and more. By this point, student enrollment rate drops for many low-income families that could not afford the fees. 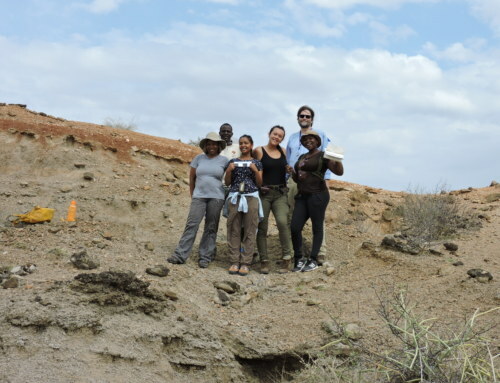 According to a 2013 article from Daily Nation, Turkana County is the least educated county in comparison to the rest of Kenya. To help overcome this and to build healthy community relationships, TBI has helped form local committees that award bursaries to a number of students throughout the county. 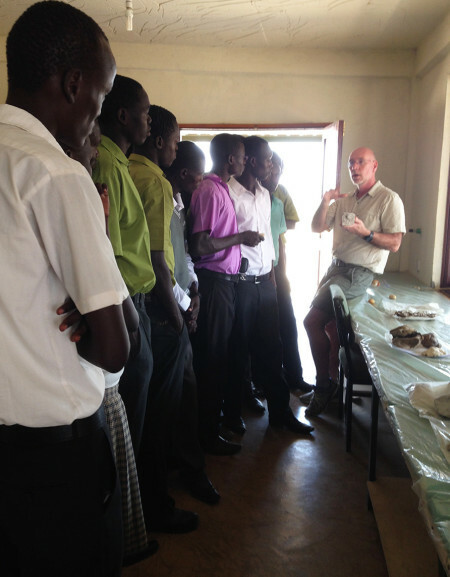 These scholarships are the result of donations given to TBI to specifically help education in the Lake Turkana region. 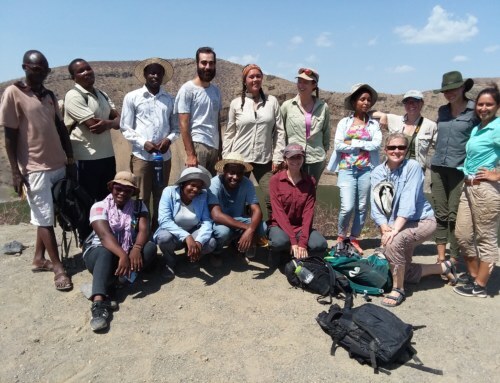 This visit was the first of many to come that allowed TBI scientists to showcase their research to explain what they do and WHY it is conducted in the Turkana Basin. With this, visiting students can see how the work at TBI relates to their daily lives and affects their future. Below are a few pictures from the visit that included 41 students from six local schools (note differences in school uniforms). 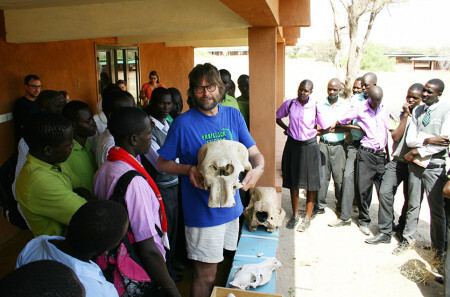 Dr. Fortelius shows the group a baby elephant skull. Students really enjoyed the comparison of a camel femur bone to a human’s. Fossil Preparator, Chris Kiarie, explains how he carefully extracts a fossil out of sediment matrix. 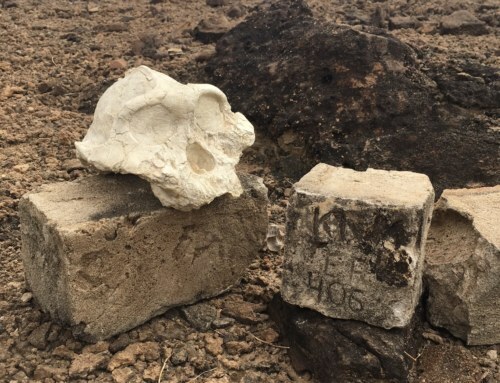 Dr. Craig Feibel, a geologist who has worked in the basin for 30+ years, explains the importance of volcanic deposits when reconstructing the geologic history of the region. 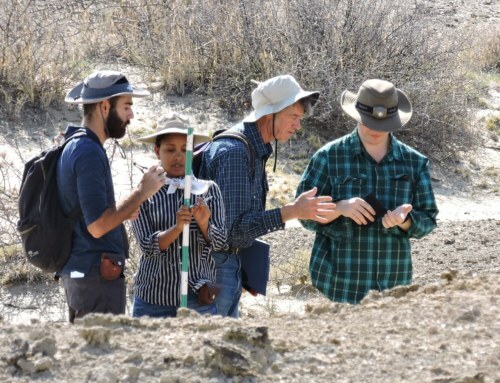 TBI field school students Kate and Jayde briefly describe the geology and fossils discovered in the exposed rock beds (not in view). 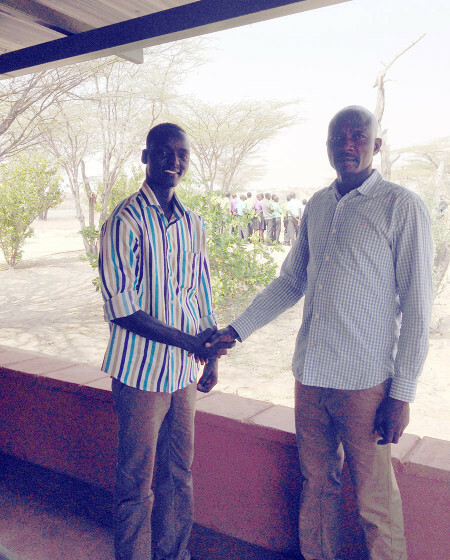 TBI community program coordinator, Peter Akol (left), shakes hands with the chairman of the TBI bursary committee, Mr Paul Igwar (right). Both were very happy to finally have a TBI student visit.